Julianne de Marchi has a secret. A secret that she’s being blackmailed for. A secret that people would kill her to protect. Jules has been laying low since she inadvertently started a fire at her school – with her bare hands. Jules has an electrical current that surges beneath her skin. She doesn’t know how it got there and she definitely doesn’t know how to control it. Who made Jules this way? Corrupt agritech business Pax Fed? A military experiment gone awry? Meanwhile, anti-Pax Fed political protest group the Agitators have turned to terrorism. But is someone else even more dangerous pulling the strings? Unbeknownst to Jules, a privatised military unit has her under surveillance. Ryan Walsh has been tasked with shadowing Julianne but after a building explosion that results in them being trapped in an elevator together, their worlds collide. The incident forces Jules and her tough, investigative journalist mother to team up with Ryan and his unit in order to stay alive – even if the military may be in league with the very people out to destroy them. Every character is well-drawn and intriguing. Jules is cautious and struggling to understand her power yet determined to uncover the truth, and Ryan proves himself to be more nuanced than his hot ex-footy star turned soldier persona would lead you to believe. Jules and Ryan have great chemistry, their attraction constantly fighting against suspicion. 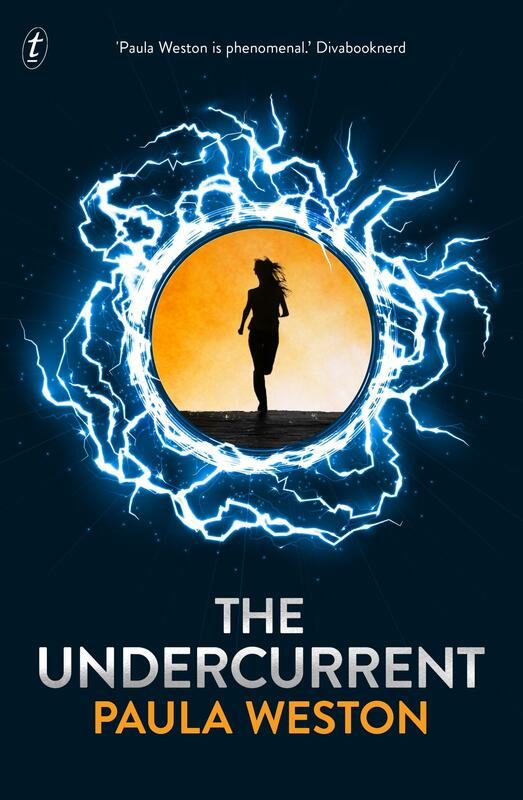 The Undercurrent is gripping and action-packed, even managing to include romance and family drama in amongst the chaos without feeling forced. Paula Weston has created an ambitious thriller that presents us with an alarming look at Australia’s near future and where our technological advances could be taking us. This is a novel full of twists and turns perfect for older teens. You won’t know who to trust until the very end. Daniella Robertson is a children’s and YA specialist at Readings Malvern.